Montreal based extremists KATAKLYSM have spent the last 25 years cementing their legacy in the extreme metal genre. 2016 marked a whirlwind of excitement as the band added a Juno Award to their collection as well as landing their highest Billboard charting. Today, the band celebrates their partnership with Nuclear Blast with a new worldwide deal. They are one of a handful of bands that have the title of "Longest Standing Artist" on the Nuclear Blast roster. Born in 1992 from the cold winds of Montreal, Québec, Canada comes one of the country’s top extreme musical exports to date: KATAKLYSM. 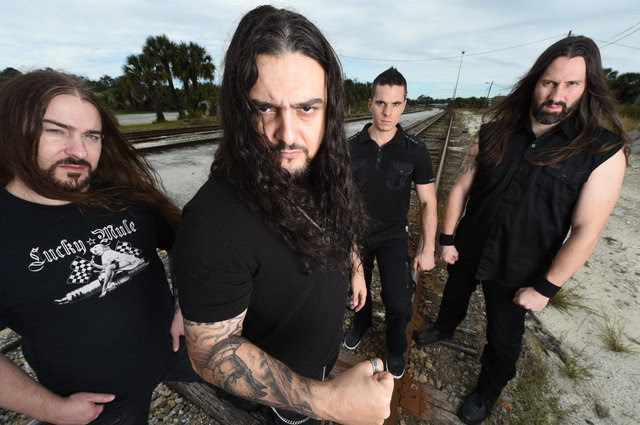 With a career spanning 25 years, KATAKLYSM is a leading force in the most brutal & powerful genre in heavy metal and has conquered territories such as Europe, North & South America, Australia, and Asia while recently becoming the first Canadian metal band to ever play South Africa. Nuclear Blast owner Markus Staiger adds: "Honoured that my Canadian hyper-blasters have re-signed with us after 25 years and for the fifth time!! It is overwhelming to have such a long and healthy relationship with a band that has remained in top form and is in its best shape ever! So let’s go for the next 25 years, !thanks my friends! 2016 marked the release of their highly-acclaimed 12th album. Of Ghosts And Gods was met with much praise winning a Juno Awards (the Canadian equivalent to the Grammy's) for "heavy metal album of the year", in recognition of their latest masterpiece. Guitarist/producer J- F Dagenais (MALEVOLENT CREATION, MISERY INDEX) tracked drums, guitars and bass for Of Ghosts And Gods, while vocals were recorded by producer Mark Lewis (WHITE CHAPEL, DEVILDRIVER, CANNIBAL CORPSE). The entire process was mixed and mastered in the UK by legendary producer Andy Sneap (MEGADETH, TESTAMENT, EXODUS, AMON AMARTH). The artwork from KATAKLYSM's explosive new album was created by up-and-coming dark and macabre artist, Surtsey (www.facebook.com/ocvltadesigns).